Tribe Cercideae is basally branching in the Leguminosae (Bruneau et al., 2001; Herendeen et al., 2003a), as predicted by Wunderlin et al. (1981), and Cercis is the most basally branching genus in the tribe. While much taxonomic work has been carried out on the tribe in the past thirty years (e.g., Larsen et al., 1980, 1984; Wunderlin, 1976, 1979; Wunderlin et al., 1981, 1987; Zhang, 1995; Vaz, 2003; Vaz & Tozzi, 2003), few species have been included in phylogenetic analyses and inter- and intra-generic relationships are still largely unresolved with the exception of Cercis (Hao et al., 2001; Davis et al., 2002b). Wunderlin (1979) and Wunderlin et al. (1981) divided the tribe into two subtribes, Cercidinae and Bauhiniinae, based on seed, floral and fruit characters. Walpers (1842) had already down-ranked Bauhinieae Benth. (1840) to subtribal status, thus the combination Bauhiniinae (Benth.) Wunderlin (1979) is superfluous. Polhill (1994) kept the Cercideae unchanged with two subtribes and five genera. While the Cercidinae contains three small distinct genera, Cercis, Griffonia and Adenolobus, the Bauhiniinae houses the monospecific Madagascan genus Brenierea and the large, diverse pantropical genus Bauhinia sens. lat. which has been segregated into as many as twenty-six genera by various authors (Wunderlin, 1976). While many of the Bauhinia segregates are based on minor morphological differences, others are distinguished morphologically by a suite of characters. 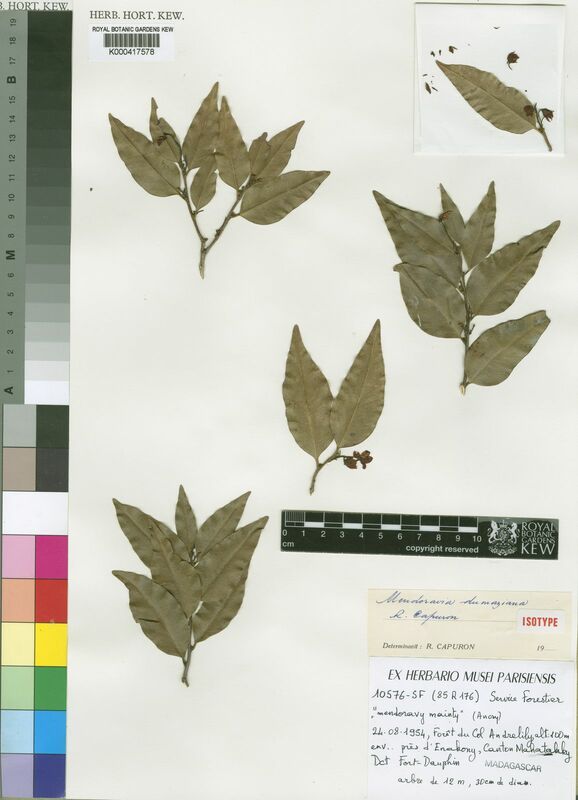 Britton and Rose (1930), in their account of the Caesalpiniaceae for the North American Flora, divided Bauhinia into several segregate genera, including Schnella Raddi which here is treated as a synonym of Phanera, but might prove to be distinct as indicated in recent molecular analyses by Forest (unpublished data). Britton and Killip (1936) recognised Schnella as distinct from Bauhinia in Colombia. De Wit (1956), treating ‘Malaysian Bauhinieae’, recognised Bracteolanthus, Lysiphyllum, Gigasiphon, Piliostigma, Lasiobema and Phanera as separate genera and this was largely followed by subsequent flora writers in Africa and New Guinea (e.g., Brenan, 1967; Coetzer & Ross in Ross, 1977; Verdcourt, 1979). Others have retained a more inclusive Bauhinia proposed by Wunderlin et al. (1981, 1987), e.g., Macbride (1943: 207–220) for Peru; Larsen et al. (1980) for the Flora of Cambodia, Laos and Vietnam; Larsen et al. (1984) for the Flora of Thailand; Chen (1988) for China, and Larsen & Larsen in Hou et al. (1996) in Flora Malesiana. Zhang (1995) published a morphological cladistic analysis of the series of Bauhinia sens. lat., but few species of Bauhinia have been included in molecular studies. It remains equivocal as to whether Bauhinia sens. lat. is monophyletic, but preliminary molecular results indicate that some elements should be reinstated as distinct genera (Bruneau et al., in prep. ; Forest, unpubl.). This runs contrary to the findings of Larsen & Larsen in Hou et al. (1996) who concluded “that Bauhinia in the sense of Linnaeus, Bentham, De Candolle, Taubert and Hutchinson is an evolutionary unit and a very natural genus”. Larsen and Larsen also noted that Bauhinia sens. lat. presents a reticulate pattern of variation across its pantropical range (this apparently conflicting somewhat with its status as a “natural genus”). While this is undoubtedly true if the genus is considered as all-inclusive, recent studies of legume distributions in general (Schrire et al., this volume and 2005) have revealed repeated patterns of generic distribution which appear to be duplicated by at least some of the segregates of Bauhinia. If these segregates are recognised as distinct genera (as several are in this treatment) then the reticulate pattern of variation of Bauhinia is far less pronounced. More sampling at the species level in molecular analyses and more morphological studies are needed across the full pantropical range of Bauhinia sens. lat. before inter- and intra-generic relationships are clearly resolved. In the current account genera that have been recognised as distinct from Bauhinia in at least one flora treatment that post-dates De Wit (1956) have been treated as separate genera, especially where these are supported by the preliminary results from a chloroplast trnL (intron and spacer) sequence analysis (Forest, unpubl.). The reader’s attention is also alerted to the detailed infra-generic division of Bauhinia by Wunderlin et al. (1987) in their reorganisation of the Cercideae which also forms a sound basis for sampling in future studies. Palynological studies of Bauhinia (Larsen, 1975; Schmitz, 1977; Ferguson & Pearce, 1986) have all stressed the considerable variation in pollen morphology within the genus sens. lat. and there are clear correlations between pollen exine ornamentation, floral morphology and pollination. It remains to be seen just how closely these correspond to evolutionary relationships of species. Nevertheless, Schmitz (1977) made several new combinations in segregate genera of Bauhinia based on palynological type. These included new names in Lasiobema, Lysiphyllum, Pauletia, Perlebia and Phanera (Pauletia and Perlebia here considered as synonyms of Bauhinia). Zhang (1995), who analysed morphologically the series of Bauhinia proposed by Wunderlin et al. (1987), concluded that while some supraspecific segregates of the genus were supported, none of the subgenera appeared to be monophyletic. Several realignments were proposed. The Cercideae as presented here includes 12 genera and (322)–335–(348) species. This treatment differs from Wunderlin et al. (1981, 1987) and Polhill (1994) in that Barklya, Gigasiphon, Lasiobema, Lysiphyllum, Phanera, Piliostigma and Tylosema are considered distinct from Bauhinia. While some of these may well be reincluded in Bauhinia after further study, yet other genera may be reinstated from within Bauhinia. Bracteolanthus, treated as distinct by De Wit (1956), is here included in Lysiphyllum following Wunderlin et al. (1987), while Barklya, considered congeneric with Bauhinia by Wunderlin (1979) and Wunderlin et al. (1981, 1987) is considered distinct following George (1998b) and Forest (unpublished data). The reinstatement of Lasiobema appears least well supported (Forest, unpubl. ).